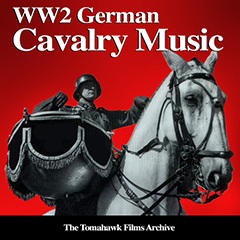 Prussian Cavalry Music, with its distinctive trumpet & kettledrum instrumentation and its instantly recognizable ‘trotting cadence’ was always an important part of the German military musical inventory and one of its leading exponents was Spandau’s Musikkorps.3.Batl.9.Inf.Regt. originally directed by Adolf Becker. Following the disbandment of the German Army in 1919 in compliance with the Treaty of Versailles, a new 100,000-man Reichswehr was created for the new Weimar Republic, and with only a handful of regiments compared to those of Imperial Germany, new battalions would have to represent the hard-won honours & traditions of former regiments in those inter-war years and thence into the newly-created Wehrmacht of Adolf Hitler's Nazi Germany. So it was that the III Battalion 9th Infantry Regiment’s Musikkorps became the new ‘Tradition-bearers’ for the old Kaiser Franz Garde-Grenadier Regiment Nr.2 and, often referred to up until 1945 as the ‘Franzers’, was initially led by Adolf Becker, who had been bandmaster of the old Kaiser Franz Regiment, and the very epitome of the Prussian soldier and one of the youngest ever Guard Obermusikmeisters.